“This community is used to offering hospitality,” Ledermann said. Last week, the church announced that it had offered sanctuary to Luis Lopez-Acabal, a 24-year-old Guatemalan who said he came to the U.S. in 2007 on a work visa that was later revoked by the U.S. Department of Homeland Security. He said he has requested asylum because of gang violence in his home country only to be denied by federal officials who ordered him deported. The move follows Southside Presbyterian Church in Tucson providing refuge to two immigrants facing deportation. That church started the movement in the 1980s in which churches around the U.S. opened their doors to Central American immigrants who fled conflicts in their homelands. Lopez-Acabal said he married a legal resident and helped raise her U.S.-born two children, one of whom has autism, as his own. A call to the Phoenix office of Immigration and Customs Enforcement seeking comment on Lopez-Acabal’s case wasn’t returned. According to the Central Intelligence Agency, Guatemala is a major transit country for cocaine and heroin. It also has one of the highest homicide rates in Latin America, according to the U.S. State Department. This year’s influx of children from Central America has been attributed to the threat of violence in their home countries. 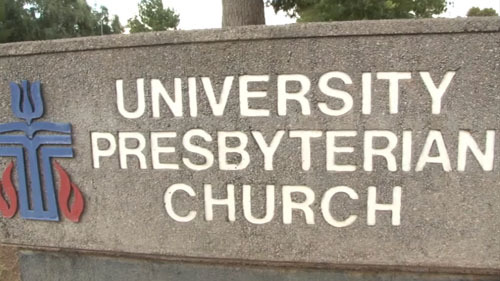 Ledermann said University Presbyterian Church welcomed Lopez-Acabal based on emotions rooted in a scripture about welcoming a stranger and loving one’s neighbor. Ledermann said most church members support the move. Among them is Jon Winkler. Lopez-Acabal said he is looking to God and his community to support his fight against deportation. He hopes officials will see that he fits ICE’s definition of a low priority deportation risk because he doesn’t have a criminal record. “More than anything, we have faith in God. He didn’t have any families separating. He wants families to be united,” he said. 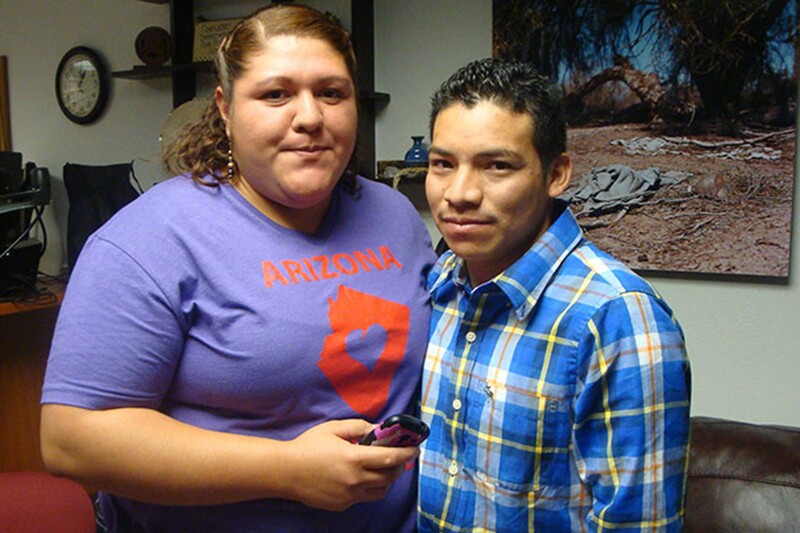 In May, ICE granted a stay of deportation to Daniel Neyoy Ruiz who given sanctuary at the Southside Presbyterian Church in Tucson. Lederman said he and others in the church know that the topic of immigration is a controversial one, with many viewing those in the country illegally as outsiders. Cronkite News Reporter Darby Fitzgerald, shows us how the University Presbyterian Church in Tempe has provided hope and safety for Luis, a 24-year-old immigrant from Guatemala. The room in which Luis Lopez-Acabal is staying at University Presbyterian Church in Tempe. Luis Lopez-Acabal, shown with his wife, Mayra Canales, is seeking asylum to remain in the U.S. rather than return to Guatemala.